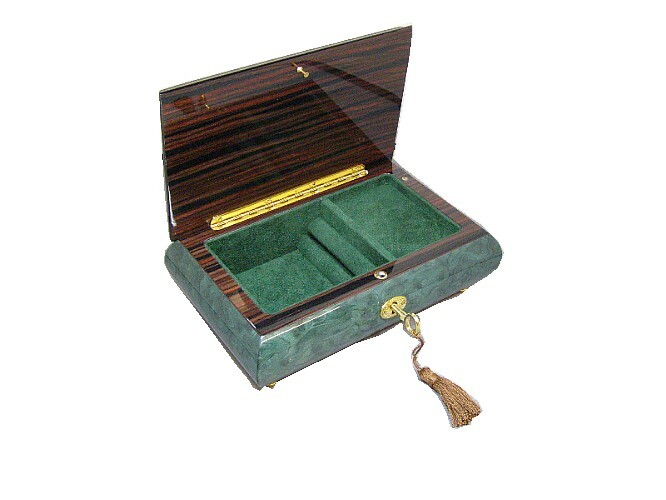 A beautiful musical jewellery box finished in dark green veneer. This music box is wound from underneath, when you lift the lid the music plays. 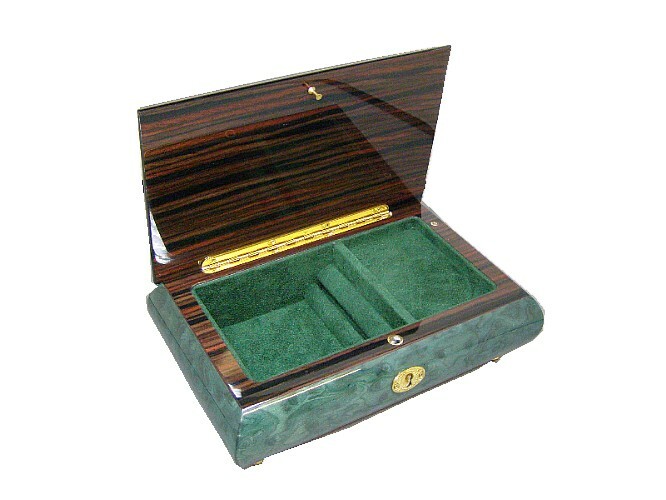 A padded slot is situated within to hold jewellery, such as rings. 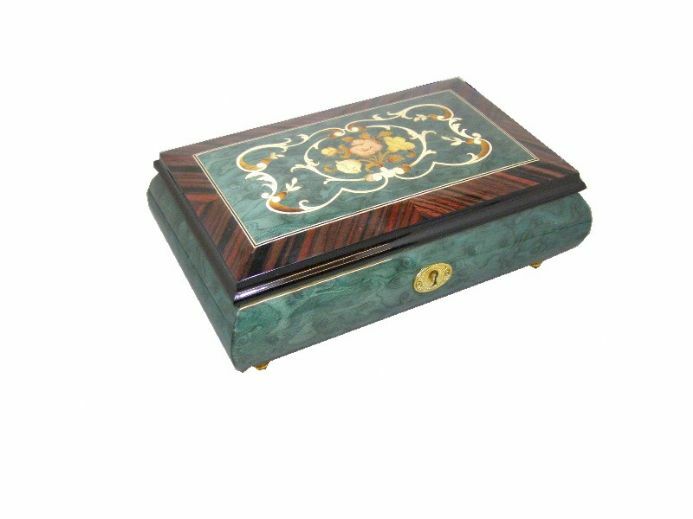 This musical jewellery box is hand made, finished in dark green veneers, and coated in a gloss lacquer. The marquetry set into the lid is of a flower and scroll design, with inlaid banding. 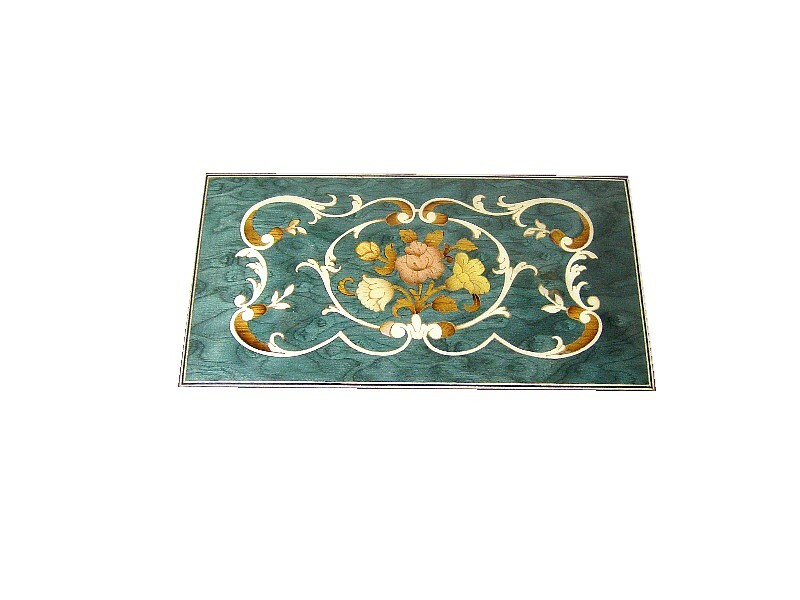 Approx Size :195mm x 125mm x 70mm.